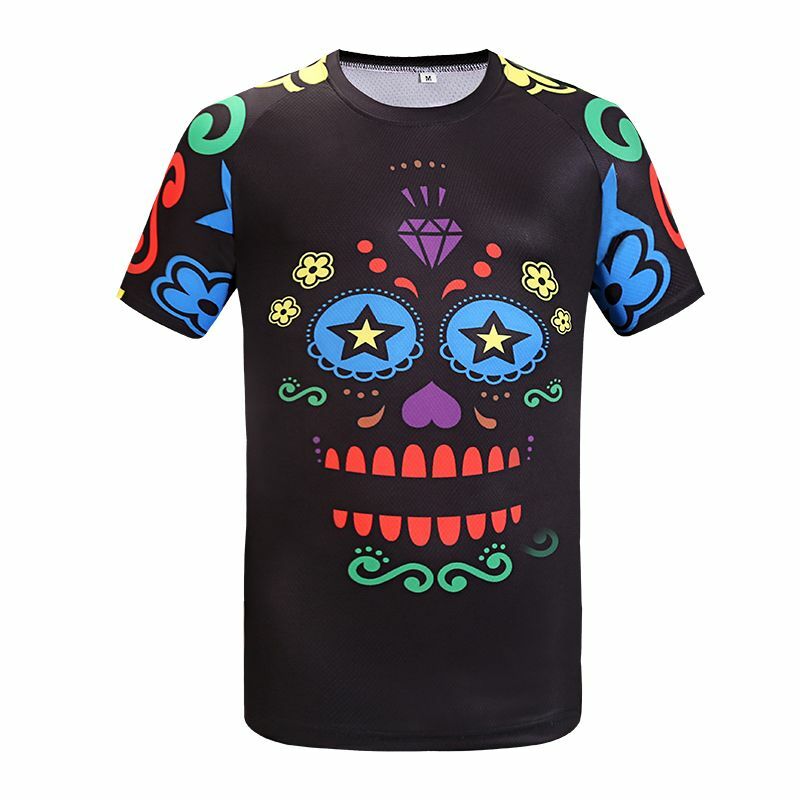 Men s Multi Coloured Sugar Skull Technical T-Shirt. Run Bike Gym. 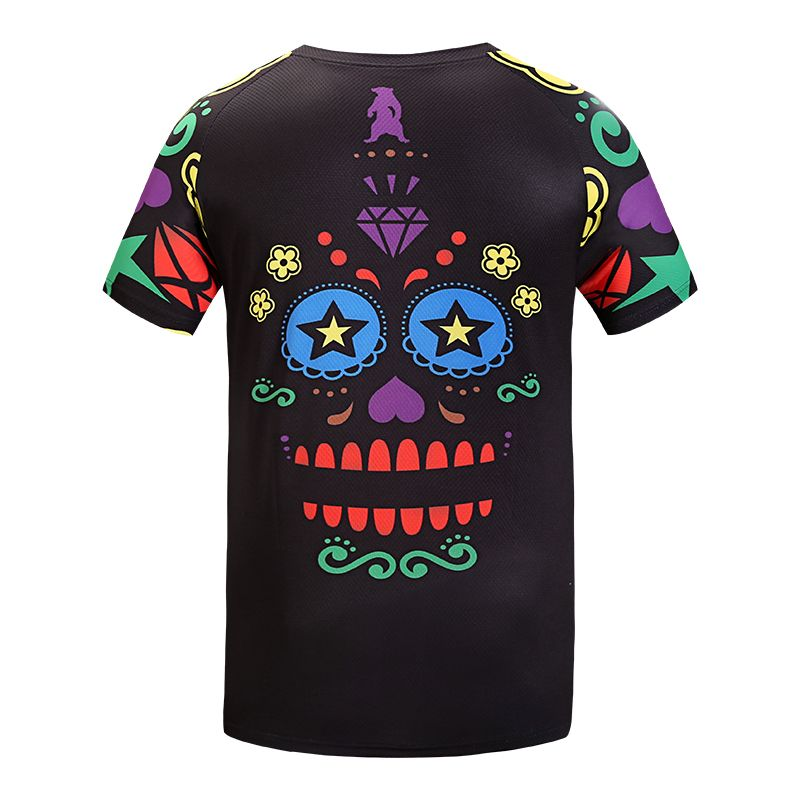 Men's Multi Coloured Sugar Skull Technical T-Shirt. Run Bike Gym. Men’s short sleeve Sugar Skull performance fitness sports T-Shirt. 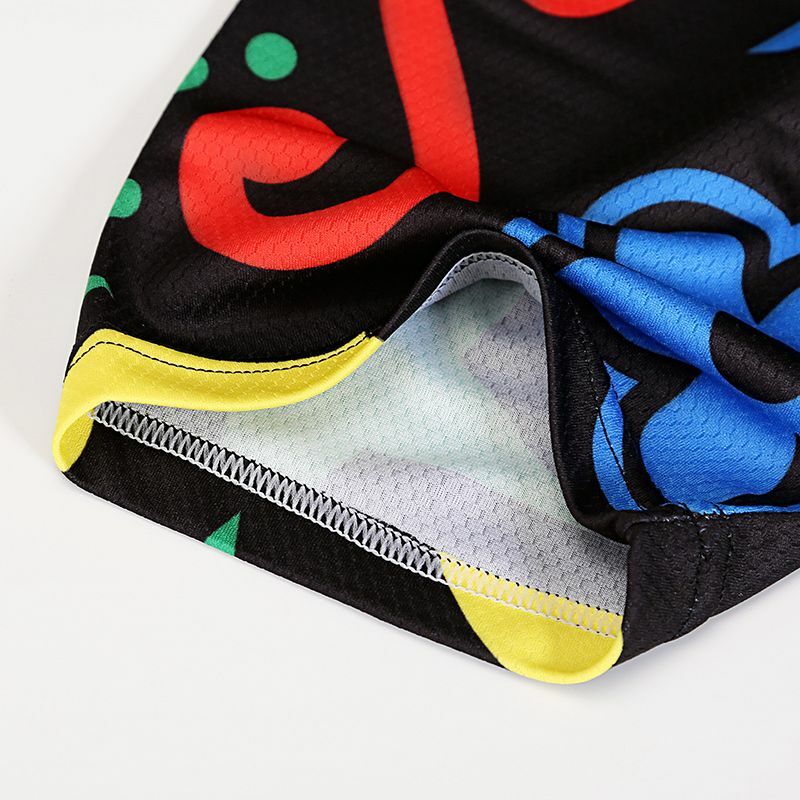 Our Sugar Skull cycle jersey has been one of our best sellers so it only made sense that we provided a performance T-Shirt for road, trail, and court users. 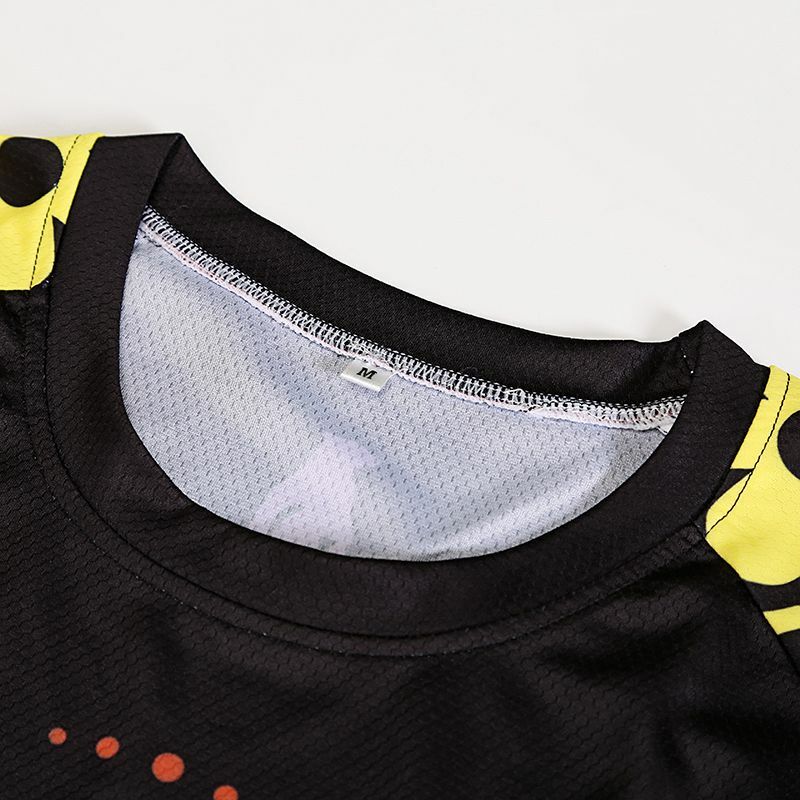 Made From a 140gsm performance Hexa-cool polyester and manufactured with a generous cut. 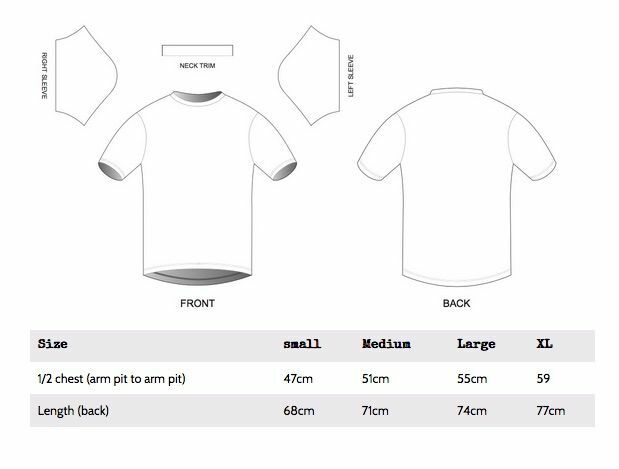 Raglan Sleeves, for better fit.